17 February 2018 – Life Is Such A Sweet Insanity. I posted this on Facebook earlier today. 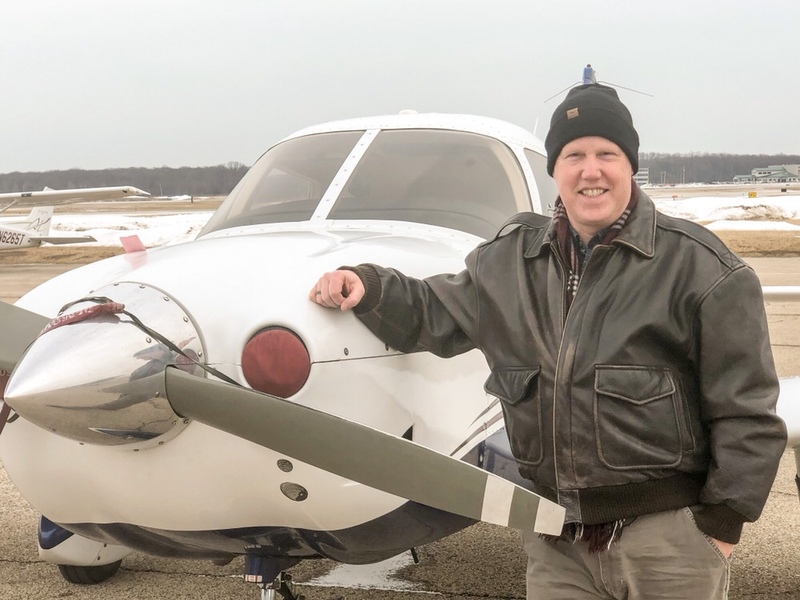 When I introduce myself to other pilots I tend to say, “I’m a third-generation Private Pilot. With the last name ‘Wing’, you kind of have to be.” Some will say, “oh, you’re a pilot like your Dad.” All of this is true, and while my Dad and I never flew together with me in the left seat, I’m sure he would approve of my aviator abilities. On one hand, we are very similar pilots: Like him, I like smaller airports, I like seeing things fairly low and slow and I share his appreciation of the older GA aircraft that populate the skies. But in other ways we are somewhat opposite in our approach: I think the new technology is cool, I like low-wing (he did not), I like talking to ATC (he avoided towered airports) and while he wanted to build airplanes (and ended up building or rebuilding three of them), I have absolutely no talent nor interest in doing so. I want to continue my aviation path to CFI and maybe beyond, he was happy flying VFR in an open cockpit. The one thing that is definitely common amongst all three generations of us Wing pilots: we have a big smile from beginning to end of each flight. In the photo of me standing next to the Archer III I’m wearing my Dad’s flight jacket. I wear it once in a while. It makes my smile even a little bit bigger. And I count my blessings for having a spouse that loves to fly with me.